Multiple major Australian telecoms companies have blocked access to several websites accused of hosting and allowing the dissemination of footage of the Christchurch terrorist attack. According to Nine News, Telstra—the country’s largest telecommunications company—blocked access to 4chan, 8chan, Voat, the blog Zerohedge and hosting platform LiveLeak on Tuesday. The sites were also unavailable on Optus and Vodafone networks, though the companies have not confirmed the names of the sites blocked. The block on 4chan was lifted after a few hours, Nine News said, but it appears the other websites remain inaccessible. Brenton Tarrant, 28, is accused of murdering 50 people at two mosques in Christchurch, New Zealand, last Friday, in what authorities have described as a white supremacist terrorist attack. The Australian citizen live-streamed his attack on Facebook, and the footage quickly spread across the internet. New Zealand police and Prime Minister Jacinda Ardern asked people not to share the graphic video. Companies attempted to scrub copies from the internet as the world reacted to the massacre, but have still struggled to keep up with its spread. READ Opinion | Is Trump Destroying the World Order? 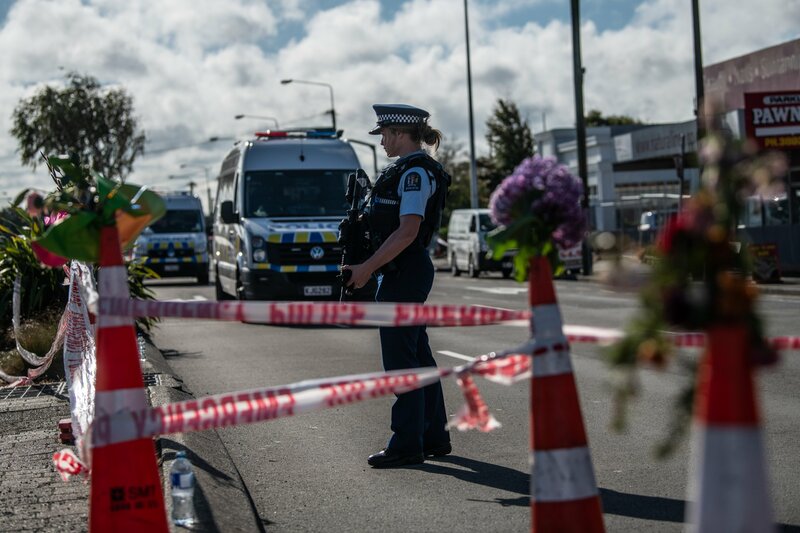 Lawmakers and activists across the globe have called on social media companies and other sites to do more to block and remove extremist content in the aftermath of the Christchurch attack. Given that the shootings were streamed live on Facebook, the social media giant has come in for added criticism. There has not yet been any suggestion that American companies may follow the example being set in Australia. Floyd Abrams, a senior counsel at Cahill Gordon & Reindel LLP in New York and a First Amendment expert, told Newsweek that ISPs in the U.S. would be within their rights to block sites if they wished.